In conjunction with our Q1 Venture Financing Report, I sat down with Matthew Howard from Norwest Venture Partners to get his take on the state of venture capital investing. On his market outlook: Overall, I am extremely bullish as technology continues to be a major contributor to the US economy, and I do think disruptive technology and business models will continue to change many aspects of healthcare, consumer and enterprise opportunities. On valuations: With so much capital deployed over the past several years, valuations seem to have cooled for some companies needing more time to get aligned with the “rule of 40” metrics. On sector trends: There continues to be a demand for breakout enterprise security opportunities, multitenant cloud-based applications, artificial intelligence augmentation and robotics. We also see a huge white space in solving real-world consumer problems like urban mobility, living spaces and the future of work. We’re also tracking innovative technologies that will make healthcare more personalized, efficient and cost effective. On exit routes: I expect, based on 2016 and 2017 data, that more often than not, companies will go the M&A route. On M&A: Q1 2018 saw a huge increase in the tech M&A market from non-tech buyers. Transactions led by non-tech buyers nearly tripled from Q4 2017. As far as VC deal terms, is the pendulum favoring companies or investors? It really depends on the company. At Norwest, we like to take a long-term view and relatively patient approach. Regarding Q1, we are not seeing any material trend changes from Q4 2017 to Q1 2018. Will this continue through 2018? At this moment, we expect mid- to late-stage venture investing to track the macro US economy as we gauge how the Federal Reserve manages interest rates. Are there noticeable trends that differ for early stage deals compared to later? In general, we continue to see very straightforward and “clean” terms for seed to classic Series A investing. From time to time, we do see structured deal terms in pre-IPO rounds. As mentioned, we have not noticed any material changes quarter over quarter. Any current trends standing out to you in Q1 that are changes from 2017? Yes, we’re starting to see IPOs pick up steam after a slow 2016/2017, and M&A activity is continuing to grow. M&A deal volume was strong in Q1 2018, but average deal values remain flat. Interesting to note is that Q1 2018 saw a huge increase in the tech M&A market from non-tech buyers. Transactions led by non-tech buyers nearly tripled from Q4 2017. Deal pace is trending upwards in Q1 2018, but average deal size remained relatively flat. Q1 2018 showed increases in both deal pace and size on a quarter-over-quarter basis, but only because Q4 2017 was a very quiet quarter. The software sector will continue to lead the way with regards to both deal volume and size. The most notable software transaction of Q1 2018, and the largest, would be Salesforce’s $6.5 billion acquisition of Mulesoft. Additionally, there are always situations where there are material, unrealistic valuation expectations among investors and entrepreneurs. However, there continues to be massive demand for high-quality opportunities that drive up valuations in an accelerated manner. It’s important to be judicious about the valuations while keeping a close eye on public market expectations and comparables. Our data shows later-stage company valuations dropping in Q4 and again in Q1 – does this reflect the beginning of a cooling period, or is the data more of an anomaly? I wouldn’t go as far as to say it’s the beginning of a cooling period, given there continues to be exponential interest in late-stage opportunities that maintain a clear IPO potential – especially those companies tracking well for the “rule of 40” regarding operational performance. On the other end of the spectrum, with so much capital deployed over the past several years, valuations seem to have cooled for some companies needing more time to get aligned with the rule of 40 metrics. It seems that, today, there needs to be a greater level of certainty around whether a company will successfully go public before it can be granted a high valuation from leading investors. Which sectors present the biggest investment opportunities right now? The transition to cloud computing and software-as-a-service has clearly changed the dynamics of enterprise software markets, lowering barriers to disruptive innovations in enterprise software. There continues to be a demand for breakout security opportunities, multitenant cloud-based applications, artificial intelligence augmentation and robotics. Within the consumer space, the app wars are over, but there’s still lots of whitespace in solving messy real-world problems in sectors like urban mobility, living spaces, telemedicine and the future of work. Business models are evolving too, as “subscription-ifiction” extends from digital goods to physical goods. And, for the first time in decades, the flow of consumer innovation is reversing from the US to the rest of the world (ROW) to ROW to the US. In healthcare, we are excited by novel ways to integrate disparate data sources to influence actionable decisions at the point of care and to make care more personalized, efficient and cost effective. Some of the bigger winners over the next five to 10 years will be tech-enabled services companies that can intelligently use data to connect patients’ care journeys and, in conjunction with a sophisticated clinical operations model, drive down the cost of care. Other winning companies will be using AI and machine learning to automate human labor in healthcare, providing operating leverage to healthcare delivery and efficient standardization. All mentioned will require data liberalization from the hands of electronic medical records companies and associated vendors. Are you bullish or bearish on the accessibility of capital markets to private technology companies in 2018? Overall, I am extremely bullish as technology continues to be a major contributor to the US economy, and I do think disruptive technology and business models will continue to change many aspects of healthcare, consumer and enterprise opportunities. As I shake my magic eight ball, I do worry about the old saying, “don’t fight the Fed.” This really makes me nervous, as the Fed tries to gently increase interest rates while managing inflation. Discipline and frugality should become increasingly important as the US bull market continues to show signs of maturing. There also remains a possibility that the new corporate tax policy and repatriation of offshore cash could extend the bull market. How do you feel about the M&A landscape in 2018, both generally and specifically, as an exit path for private technology companies? Given the uptick in M&A activity in the last quarter of 2017, we expect M&A activity to continue to be strong in 2018. As companies strive to scale, they should develop strategic partnerships to help them achieve their goals while simultaneously reducing costs. Take the recent news of the potential T-Mobile/Sprint merger as an example – the rationale behind it according to both companies is that, as a single unit, they’ll be able to expand their customer base and compete more effectively with AT&T and Verizon. Similarly, as private tech companies approach the point at which they must decide to either go the acquisition or IPO route, I expect, based on 2016 and 2017 data, that more often than not, companies will go the M&A route. While it’s encouraging to see a strong pipeline of companies marching toward IPO, we know that private capital has been so accessible that it’s allowed many companies to push off their IPOs and focus on growth outside of being a public company. As these companies continue to grow, they’ll need to weigh the costs and benefits of IPO versus acquisition. 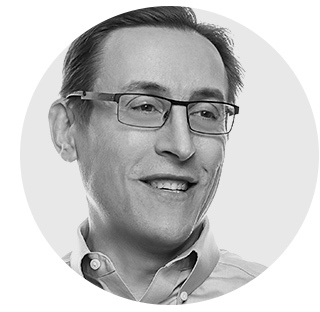 Matthew brings 30+ years of experience in marketing, product management, engineering, business development and sales in a wide range of technologies to Norwest Venture Partners. Matthew focuses his efforts on mobile, security, rich media, cloud-based services/applications, networking and storage sectors. He currently serves on the boards of 6 River Systems, Aporeto, Bitglass, Blue Jeans Network, Exabeam, Mist Systems and MobileIron (Nasdaq: MOBL). Norwest is a premier multi-stage investment firm managing $7.5+ billion in capital. Since inception, the firm has invested in 600+ companies and is currently partnering with 140+ active companies across their venture and growth equity portfolio. The firm invests in early to late-stage companies across a wide range of sectors with a focus on consumer, enterprise and healthcare. Norwest offers a deep network of connections, operating experience and a wide range of impactful services to help CEOs and founders scale their businesses. Norwest has offices in Palo Alto and San Francisco, with subsidiaries in India and Israel. For more information, please visit www.nvp.com. Follow Norwest on Twitter @NorwestVP.